Smooth, soft, and clean – the way a baby’s bottom should be. 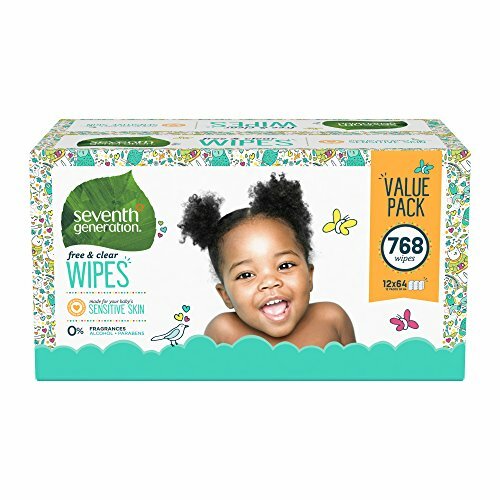 Seventh Generation Free & Clear Baby Wipes are made for baby’s sensitive skin and contain 0% fragrance, alcohol, parabens, or phenoxyethanol. Our thick, soft wipes are strong enough for big messes while being gentle on newborn baby’s most precious, delicate skin. These baby wipes are moistened with plant-derived skin conditioners like aloe vera and are safe for baby, hands, and face. The flip-top package design locks in moisture to keep wet wipes fresh and allow for easy, on-the-go dispensing. Our hypoallergenic and fragrance free wipes are dermatologist tested and clinically proven to be gentle on baby’s skin. It’s all good, baby. Caring for a little human is a magical undertaking, and we’ve developed an entire line of baby skin care products, wipes, and diapers to bring peace of mind to your journey. For every life-changing milestone, you deserve baby care you can trust.